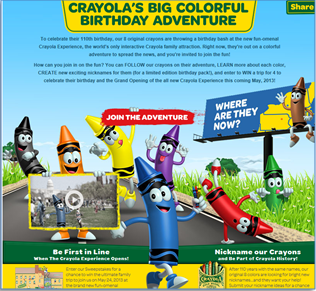 Michele's Little World: Celebrate Crayola's 110th Birthday & Enter To Win! Celebrate Crayola's 110th Birthday & Enter To Win! DISCLOSURE: Crayola provided me with the information to share with my readers.